Sunday was a somewhat unique day. All year I have been training for a marathon, which I will be running in October next month in Dublin. 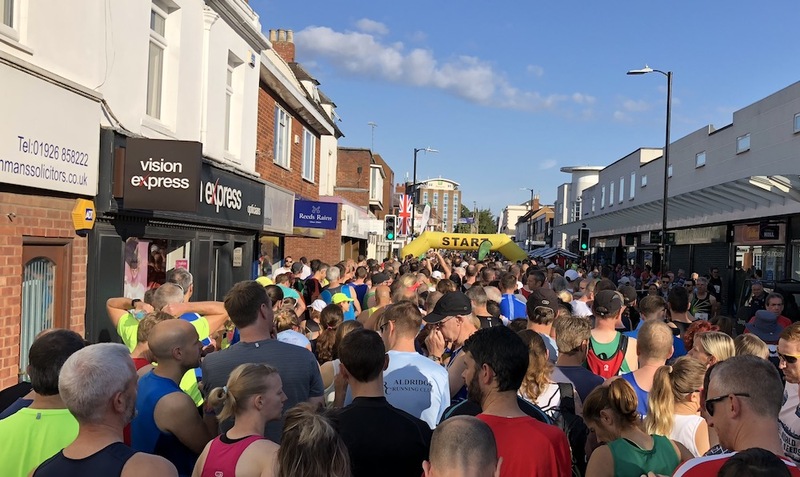 All year I have been running parties and all year I have been attempting to write interesting blogs about my training for running a marathon and running parties! But on Sunday I was running an official Half Marathon race in my home town of Kenilworth and also running a party for some wonderful 11 year kids at the studio in Ansty. Would I be fit enough to manage both? Fortunately I kinda knew I would be, because I have run on party days before but never as far as a half marathon. Coupled onto this was the added stress that I was flying home from Spain the night before the race, so if there had been any flight delays I would have been unable to do much about it. You are supposed to eat a massive pasta meal the night before a big race but finding anything at that time in the little airport in Bilbao was not happening and most places in Heathrow were shut when we landed, so I made do with a dodgy Burrito somewhere on the M40. So the flight went well and we got home, I had about 7 hours sleep and then it was race day - go to the Holiday Inn and collect race number for 8.15am, do a bit of warm up stretches and running by 9am. The run went brilliantly and I enjoyed the route - mainly uphill for the first half and mainly downhill for the second half. The run to the finish line was well planned by the organisers too - all downhill from the clock-tower in Kenilworth High Street to the finish line by the entrance to Talisman Square - an easy and fast way to finish. There were now just 4 hours before the party was due to start at 3pm. No problem - when the party kids arrived, the studio was booming and gleaming ready for the first party of the school year and 11 kids all aged (nearly) 11 rocked in ready to sing their chosen songs. Sophie and her party pals from Barwell near Hinckley were all very well rehearsed and almost knew the song backwards - today we were doing Flashlight by one of my fave singers Jessie J but from the musical Perfect Pitch 2. Sophie took a couple of the big moments and last line making it extra special and the group as a whole sang very well making recording pretty straightforward - phew! After the photo session and a bit of food Sophie was straight back onto the mic to record a duet of the song Space Between from Descendents 2 with her friend Maisie. Both of them had clearly rehearsed the parts very well before the party making Dove & Sophia look rubbish by comparison!! Well done girls. So the 1st Term of 2018/19 kicked off really well - a personal best for me running a half marathon in under 2 hours (1hr:55) and a superb party in the afternoon with some super singers! Older PostTo train in Spain or not to train in Spain?